Referees are a vital component of any game of rugby, but more and more players and coaches are starting to discover that being a match official is not mutually exclusive to the rest of your rugby career. High profile athletes including Andrea Burk, Chris Robinson and brothers Paul and Jamie Kelly have taken strides into the world of refereeing, only to find how much it can complement other aspects of their game. Chris and Andrea recently spoke to us while attending their Level 1 Match Officials Course. On a related note, while it is sad to hear of the retirement of Latoya Blackwood from the international game, we are delighted to hear how excited she is about her future career as a match official here in BC. Games of rugby do not happen without referees. They are a vital part of any match, from grassroots rugby at Age-Grade level right up to top flight international matches. You might think that people only become referees when they are finished with their playing career, “how can I referee on a Saturday when I’m already playing in a Senior Division?”. In reality, there are many ways to get involved in refereeing without giving up playing and coaching. With Mini Rugby, U14 Club Rugby, Schools Rugby and the Provincial Regional Championships (PRCs) there are many opportunities to make a difference right now, without conflicting with your existing rugby commitments. Not only that, you’ll expand your rugby knowledge and learn how to prevent avoidable penalties in your own game or those you coach. After taking one of BC Rugby’s Match Official courses, you’ll get the chance to take to the field with mentorship from some of Canada’s most experienced referees, helping you to put your newly learned skills into action. Furthermore, you’ll become part of an extended match official network, given the opportunity to attend seminars and development sessions and become part of an ever-growing family of rugby enthusiasts who want to give something back to the sport. Our most recent level 1 course at Klahanie park had a great mix of players and coaches looking to expand their understanding of rugby. 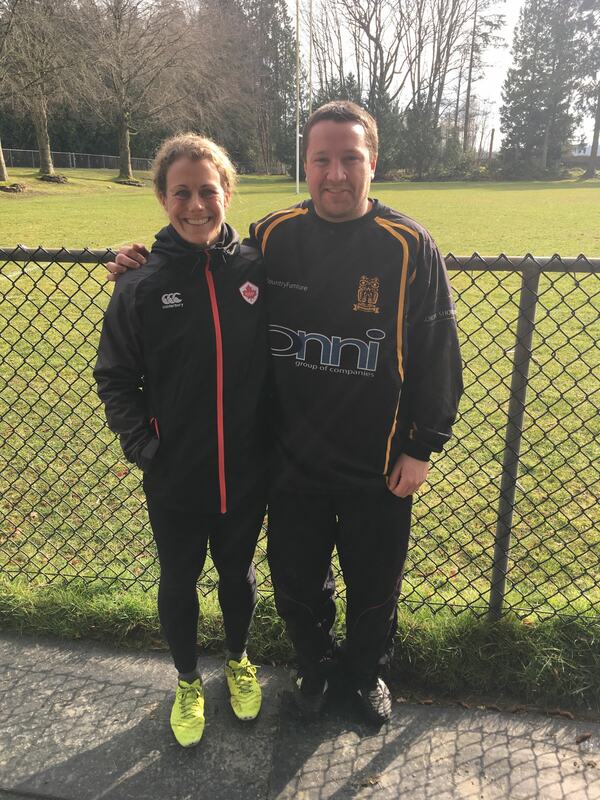 Amongst their ranks were Rugby World Cup veteran Andrea Burk and Capilano Premier League standout Chris Robinson, who now join the ranks of our most recent certified referees in BC. CA: What made you want to take the Level 1 Match Official’s Course? AB: Knowing the laws and how a referee thinks and moves on the field makes me a better player and a better coach. This skill set will increase my speed of decision making on the field giving me an advantage over the opposition. CR: As another way to give back to the rugby community that has given me so much already. I also hope that it will help me on the field as a current rugby player. Hopefully, some of the knowledge gained I will be able to pass on to others to further improve our game. CA: What do you want to do with refereeing? AB: I’m keen to referee where I can and build that skill set. It not only helps grow the game in BC but will also help make me a more rounded player. 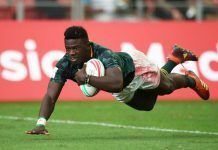 CR: I aim to start my refereeing career slow with junior/high school games and eventually transition to some senior rugby games closer to the end of my playing days. CA: What would you say to someone who is hesitant to come out and try refereeing? AB: I think anyone who enjoys watching rugby and commenting on a referee’s calls should get out and grab a whistle at least once. I have been playing rugby for 21 years 9 years at the international level. The first time I was asked to ref a game I gained such an appreciation for the speed of the breakdown and what a referee needs to take into account before making a call. CR: All the referees and officials are very supportive and great teachers. Learning the game from the referee’s aspect will help other aspects of rugby such as playing, coaching and even watching rugby. If you would like a Match Official Course run in your area, contact Chris Assmus at cassmus@bcrugby.com to discuss future opportunities.